Millions of Americans experience the symptoms of dry eyes periodically. Many of these individuals wear contact lenses. If you experience dry eye symptoms or have concerns about them, the helpful staff at our optical store in Detroit, MI can help you choose contact lenses that will reduce those symptoms. Our board-certified ophthalmologist William Goldstein has practiced ophthalmology since 1994. He and our staff can help you find the right pair of contact lenses so you can enjoy the convenience and comfort of contact lenses. Basically, dry eyes are caused by the insufficient production of tears. In some cases, individuals may produce adequate amounts of tears, but the tears are unable to coat every part of the eye’s surface for various reasons. 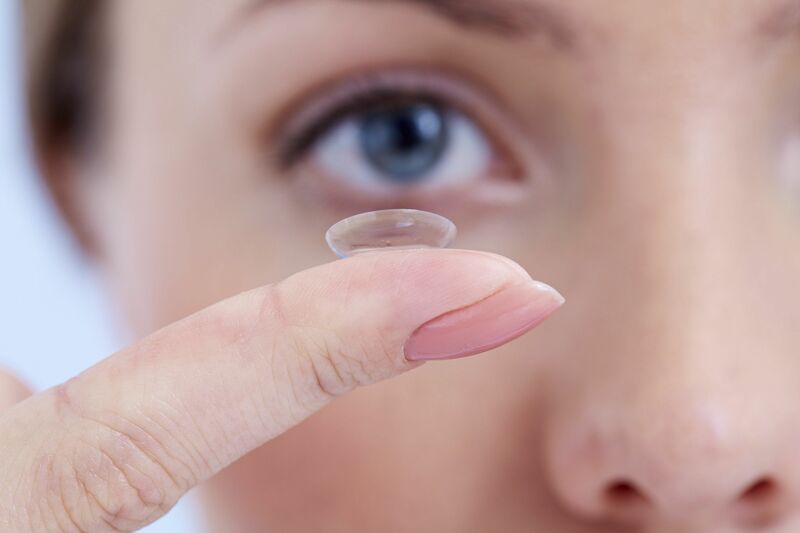 Contact lenses can either cause dry eyes or aggravate the symptoms. The lenses can interfere with the eyes’ natural tear film, the thin layer of water, oil, and mucus that lubricates and moisturizes the eye. Fortunately, dry eyes caused by contact lenses is treatable. Other common causes of dry eyes include aging, dry environmental conditions, recent laser eye surgery, certain medications, damaged tear glands, or high altitudes. How Can I Reduce Dry Eyes Symptoms? Even if you prefer wearing contact lenses, we recommend intermittently using eyeglasses for the days when your eyes need rest. If you experience chronic dry eye symptoms, you may benefit from one of three common treatments at our Detroit area practice: tear replacement, tear gland rejuvenation, and tear drain closure. Tear replacement: Artificial tears can be purchased at any pharmacy and offer relief for many patients. Our staff can recommend specific brands. Tear gland rejuvenation: Restasis, a prescription eyedrop, has been shown to promote the production of tears. Tear drain closure: The tear drain in the corner of each eyelid that allows tears to flow into the nose can be temporarily or permanently closed to encourage tears to stay on the eye’s surface for a longer period of time. While dry eyes are a common side effect of contact lenses, taking simple preventative steps can reduce or eliminate those symptoms. If you have questions or concerns about dry eyes, we will educate you on the best practices to prevent or treat dry eyes. Once you make a habit of resting your eyes and cleaning your contact lenses, dry eyes should no longer be a barrier to enjoying the benefits of contact lenses. Call us at (586) 323-2020 or contact us online to schedule a consultation at our Detroit area practice.